Pontoux Burgundy is beautiful and has lots of guest houses. Ofcourse we are only looking for the best guest houses in Pontoux Burgundy. 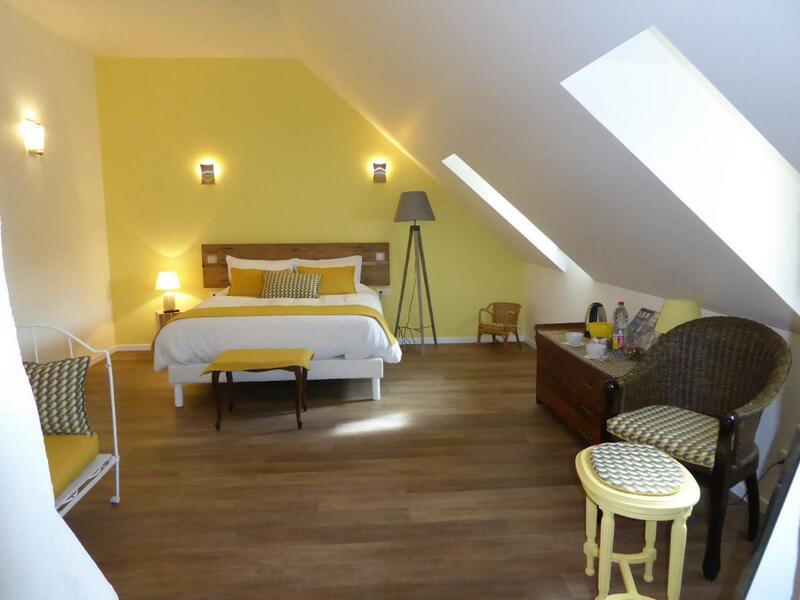 It’s important to compare them because there are so many places to stay in Pontoux Burgundy. You’re probably wondering where to stay in Pontoux Burgundy. To see which guest house sounds better than the other, we created a top 10 list. The list will make it a lot easier for you to make a great decision. We know you only want the best guest house and preferably something with a reasonable price. Our list contains 10 guest houses of which we think are the best guest houses in Pontoux Burgundy right now. Still, some of you are more interested in the most popular guest houses in Pontoux Burgundy with the best reviews, and that’s completely normal! You can check out the link below. Skip to the most popular guest houses in Pontoux Burgundy. 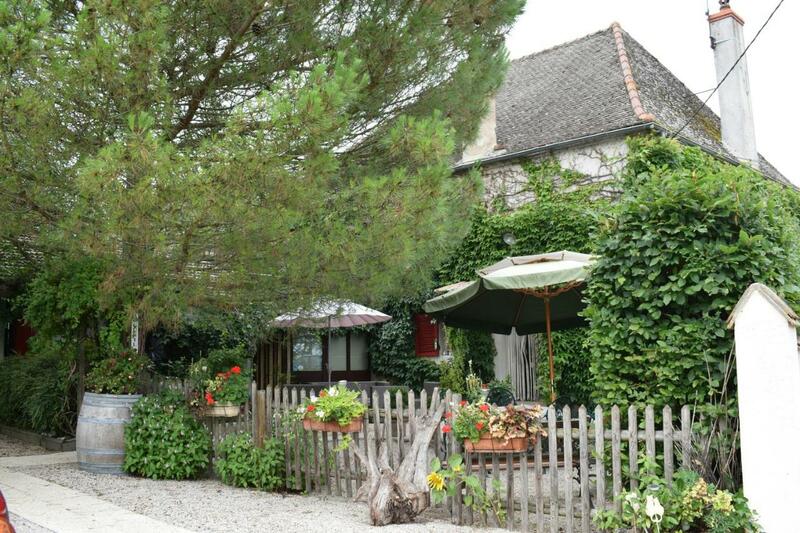 Showcasing a barbecue and sun terrace, Le Petit Clos is located in Jallanges in the region of Bourgogne. Free private parking is available on site.Each room is fitted with a flat-screen TV. Some accommodations feature a sitting area where you can relax. You will find a coffee machine in the room. Every room includes a private bathroom equipped with a shower.You will find a shared lounge at the property.There are lots of activities in the area, such as biking and hiking. The guest house also provides free use of bicycles. Dijon is 24 miles from Le Petit Clos, and Beaune is 15 miles away. The nearest airport is Tavaux Airport, 14 miles from the property. 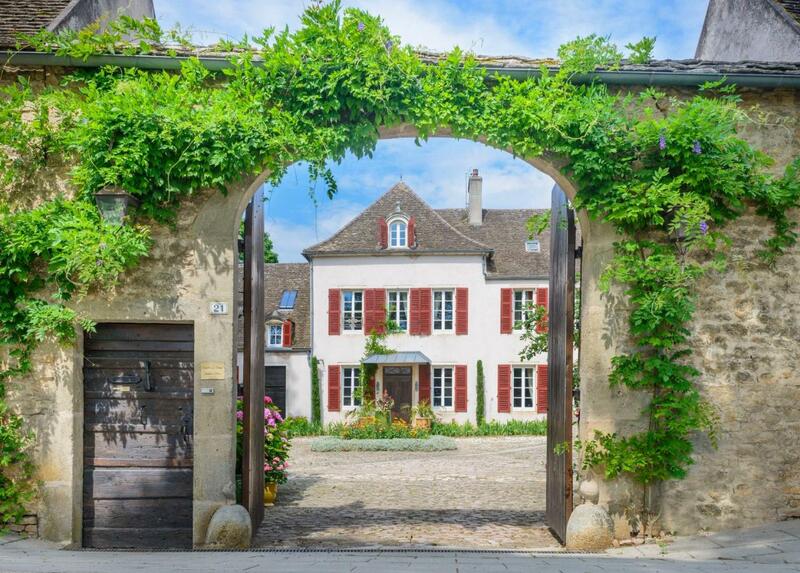 Featuring free WiFi throughout the property, Le Clos des Meix offers pet-friendly accommodations in Lanthes.Every room includes a flat-screen TV. Certain rooms feature views of the pool or garden. All rooms have a private bathroom. For your comfort, you will find free toiletries and a hairdryer.There is a shared lounge at the property.Dijon is 24 miles from Le Clos des Meix, and Beaune is 17 miles from the property. The nearest airport is Tavaux Airport, 11 miles from Le Clos des Meix. Charming place, with a very friendly and welcoming host family. Hope to stay there again. This is a great value. It is set in a very quaint little town. The parking is right in front of the building. The rooms and baths were exactly what we needed for our one-night stay breaking up a long drive from the south of France to the Netherlands. The room with a huge window overlooking the back garden is really nice. The kid friendly yard was a plus. My kids especially enjoyed the trampoline and the archery. The hostess was very nice about helping us find a place to eat dinner nearby. Breakfast was simple and adequate. Remember that this B&B is just booked online but not paid for online. I had forgotten, but had enough cash on hand to pay. Nice and quiet room with huge external bathroom, everywhere very clean. 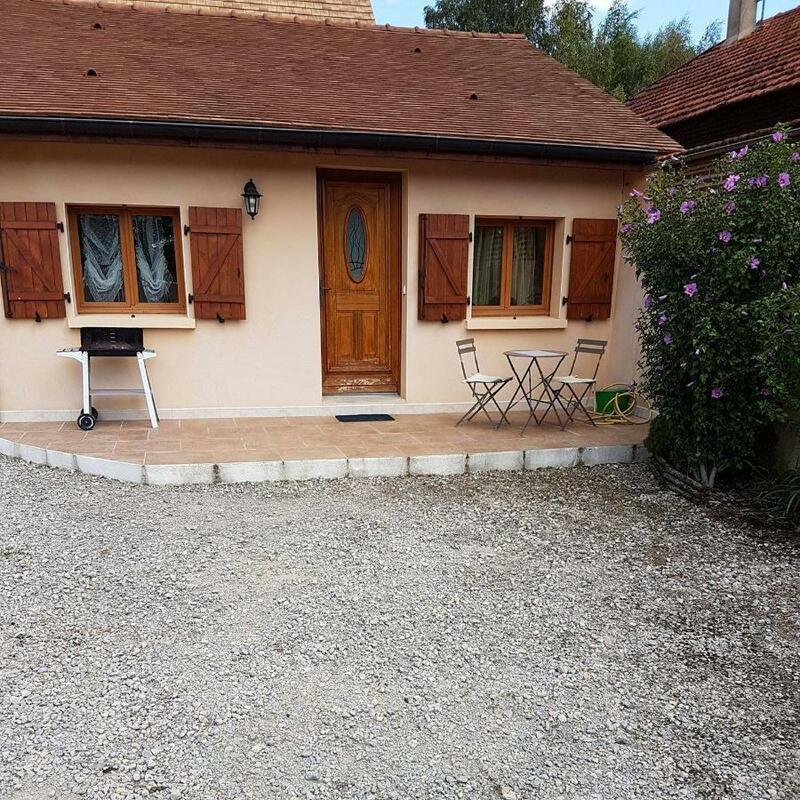 This was like staying with a French family in the countryside – lots of space, pool and play area, lovely friendly people and dogs – and the dinner was fantastic, everyone together in typical leisurely French style, cooked by the owner, served with wine – delicious. Showcasing a terrace and views of the garden, LE SEUIL DES CHAMPS is located in Saint-Gervais-en-Vallière in the region of Bourgogne, just 25 miles from Dijon. Guests can enjoy the on-site bar.Each room is equipped with a private bathroom. For your comfort, you will find free toiletries and a hairdryer.Beaune is 7 miles from LE SEUIL DES CHAMPS, and Chalon-sur-Saône is 13 miles from the property. Featuring free WiFi, a barbecue and a sun terrace, La Loubertine offers accommodations in Géanges. Guests can enjoy the on-site restaurant. Free private parking is available on site.The rooms have a flat-screen TV. You will find a kettle in the room. Every room is equipped with a private bathroom. Extras include bathrobes and free toiletries.The guest house also provides free use of bicycles. Dijon is 26 miles from La Loubertine, and Beaune is 6 miles from the property. Tavaux Airport is 25 miles away. Exceptional service and welcome. Gorgeous rooms and beautiful setting. I would HIGHLY recommend this hotel! We loved the quiet country surroundings. The breakfast was very good. Lovely finishing of the building, which was an old barn. Very nice cotton linens and great attention to detail. Close to dozens of wineries and to Dijon and Beune. Wonderful breakfasts with eggs collected from the hens that morning, home made yogurt and jams. Very comfortable room with a great shower. Common sitting area with couches and tables. Only a few miles from Beaune in a peaceful, quiet location. The hosts invited us for a drink and snacks – great pate and olives, with local wines. We wanted a light dinner there, but they offer full meals, as well. Wonderful tomatoes from the garden, lovely green salad with a poached egg. Local cheeses and homemade raspberry sorbet. All delicious. Highly recommended. We booked 1 night but ended up staying for 3! We’ll come back. Oustanding place ! La chambre était magnifiques, nos hôtes très chaleureux, la table d’hôtes est superbe. Un vrai sans faute! La Vernelle De Saint Loup is located in Géanges, just 27 miles from Dijon. 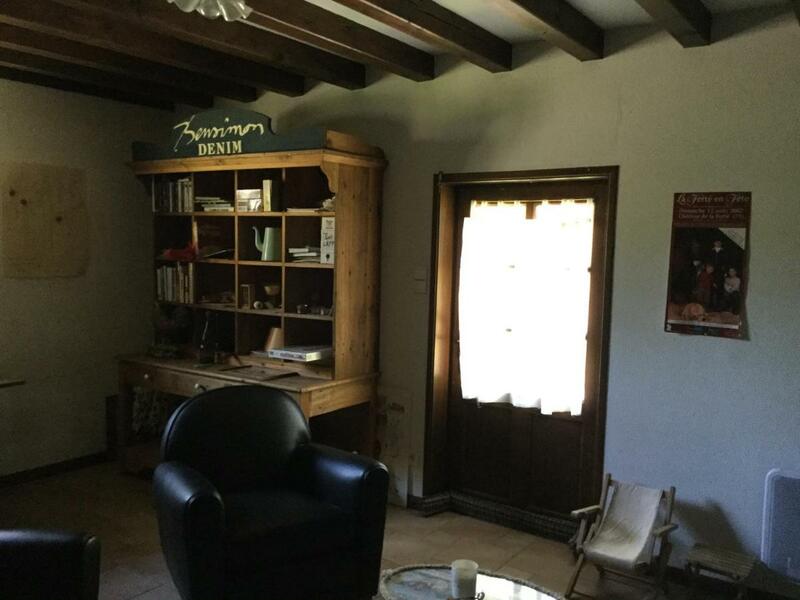 Free private parking is available on site.The rooms have a private bathroom.Beaune is 6 miles from La Vernelle De Saint Loup, and Chalon-sur-Saône is 11 miles from the property. Tavaux Airport is 25 miles away. 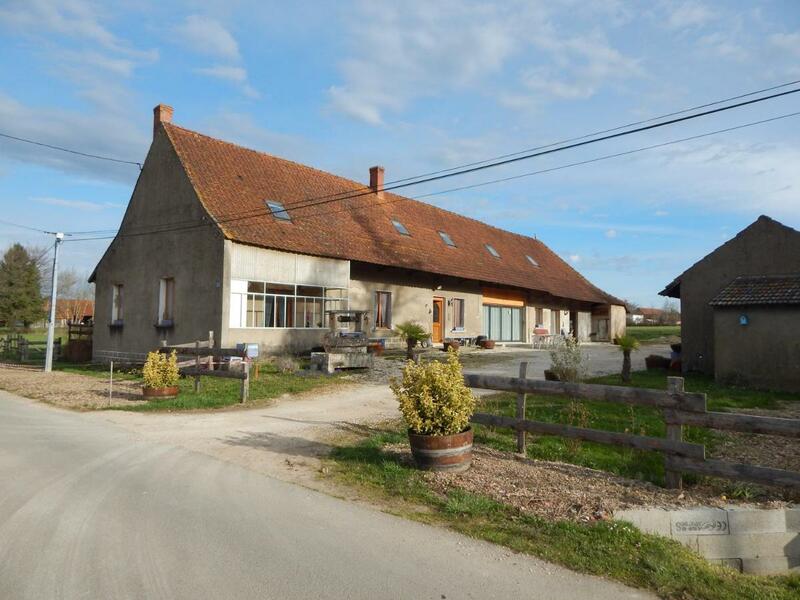 Showcasing a barbecue and views of the garden, chez Marcel et Béa is located in La Chapelle-Saint-Sauveur in the region of Bourgogne, just 24 miles from Beaune. Free WiFi is featured throughout the property and free private parking is available on site.The rooms have a flat-screen TV. Some units include a sitting area where you can relax. There is a coffee machine and a kettle in the room. Each room is equipped with a private bathroom equipped with a bathtub or shower. For your comfort, you will find free toiletries and a hairdryer.Chalon-sur-Saône is 21 miles from chez Marcel et Béa, and Lons-le-Saunier is 18 miles from the property. The nearest airport is Tavaux Airport, 14 miles from the property. Located in Villy-le-Moutier in the region of Bourgogne, 18 miles from Dijon, Le Clos n°5 features a sun terrace and views of the garden. Guests can enjoy the on-site restaurant. Free private parking is available on site.Every room includes a flat-screen TV. There is a coffee machine and a kettle in the room. Each room is equipped with a private bathroom equipped with a shower. For your comfort, you will find free toiletries and a hairdryer.Beaune is 7 miles from Le Clos n°5, and Chalon-sur-Saône is 20 miles from the property. Tavaux Airport is 21 miles away. A new guesthouse a little off the beaten path in beautifully- and newly-repurposed stone buildings. The lovely and most accommodating owner, who did everything possible to help us enjoy our time in Beaune and surroundings, added to our stay. If walking steps is an issue, be sure to book the room on the lower level of the converted stone building. Continental breakfast was delicious and plentiful, with homemade cakes and yogurt. A fantastic chambre d’hôtes very close to Beaune. Both Rachel and Philippe are a fantastic couple and perfect hosts. Everything is perfect, from decoration to breakfast. If you wish there is also the possibility of dining with the hosts, both speak very good English and Rachel cooks tasty local dishes. We’ll definitely return here for a second tour around Bourgogne. Wonderful building and room. Very proper. Very calm enviroment. We had the superior room with a king size bed. It is indeed a large, nice and comfortable room. We really appreciated the large shower, and the quality of the towels that we could nicely warm. It was pretty cold outside, but we had no difficulty to set the right temperature inside. Everything was spotlessly clean. The breakfast was very good, with homemade cake, yogurt and marmalade. We didn’t have dinner, but I have no difficulty to believe that it would have been excellent as well. Finally, our host was really friendly and entertaining, she consistently provided good advice on the things to do and the places to eat nearby. 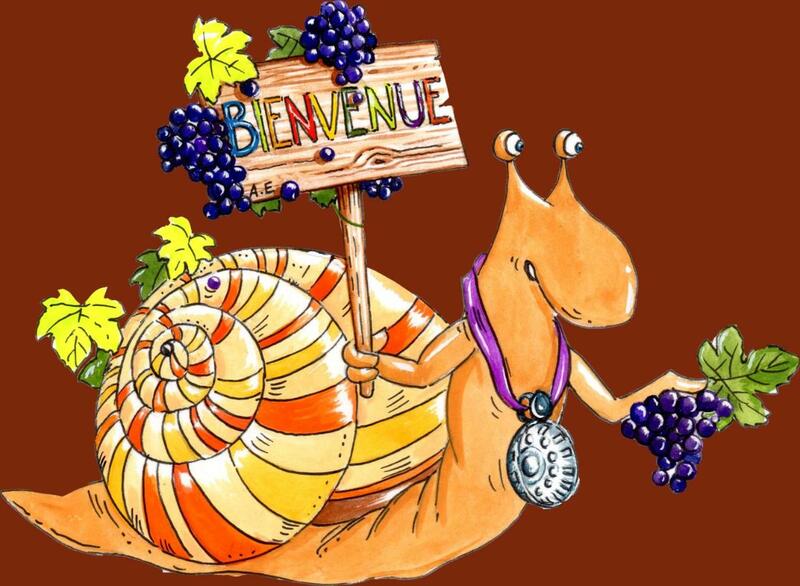 – mais aussi et surtout, et c’est là que se fait toute la différence, les hôtes nous accueillent comme si nous étions de vrais copains et que nous faisions partie de la bande : apéro à l’arrivée, discussion à bâtons rompus, plaisir du partage et d’une gentillesse incroyable. La maison du four à pain is located in Serley, just 26 miles from Beaune. Free private parking is available on site.Certain rooms feature a sitting area to relax in after a busy day. You will find a coffee machine in the room. Every room is equipped with a private bathroom.Chalon-sur-Saône is 19 miles from La maison du four à pain, and Lons-le-Saunier is 16 miles from the property. The nearest airport is Tavaux Airport, 19 miles from La maison du four à pain. 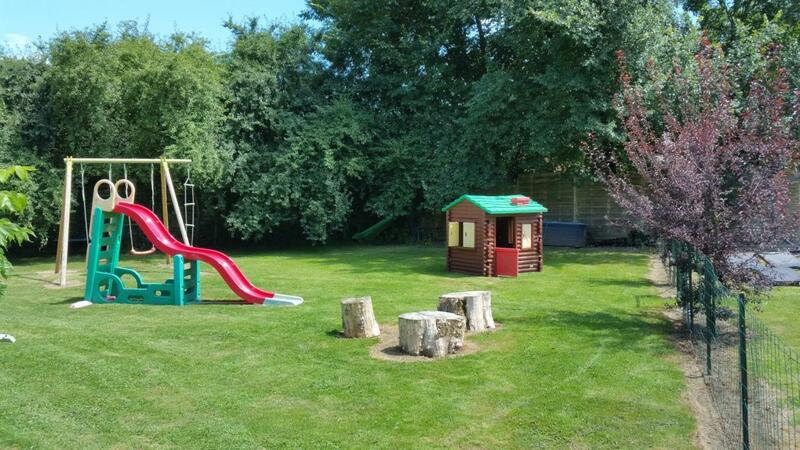 Charming rural cottage, beautiful surroundings and the hosts were attentive. Would like to return. Maison de charme pour les amoureux de demeures de caractère. Magnifique propriété de plusieurs hectares à la campagne et au calme. Parking aisé, piscine partagée. Propriétaires accueillants et prêts à rendre service. Supermarché pas loin. De ontvangst was zeer gastvrij. Mooi zwembad erbij en schitterend huisje op mooi landhoed. Wandeling op landgoed gemaakt en vijf paarden bekeken. Huisje was zeer ruim en perfect verzorgd tegen een zeer aantrekkelijke prijs. Superbe ! Tout était parfait ! Je ne mets pas 10 car pas de clim dans les chambres à l’étage. Mais je recommande totalement : très bon accueil, hôtes charmants, endroit merveilleux, logement superbe et aménagé avec goût… La perle rare ! les enfants ont adoré le contact avec les animaux et le grand jardin. Encore Merci ! Petit déjeuner copieux et raffiné…. Showcasing a terrace and views of the garden, Maison le Village is located in Montagny-lès-Beaune in the region of Bourgogne, just 24 miles from Dijon.A flat-screen TVwith satellite channels, as well as a CD player are available. Certain accommodations feature a sitting area where you can relax. A terrace or patio are featured in certain rooms. The rooms are fitted with a private bathroom fitted with a shower.Beaune is 2.2 miles from Maison le Village, and Chalon-sur-Saône is 14 miles from the property. The nearest airport is Tavaux Airport, 27 miles from the property. Nice room with great breakfast served by warm and welcoming young lady! Very charming hostess and altogether extremely pleased with the room and guest services. Big house as part of beautifull authentic complex with nice decorations and good vibes, situated in small villga just of the route du soleil. Excellent stay and host, highly recommended. Beautiful, well appointed cottage! Enjoyed sitting outside in the nice yard, relaxing with some snacks and of course a wonderful bottle of wine. Took advantage of breakfast which was delicious and served in a really charming room off of the patio area (cozy feel but large enough for a large party if you have one). Note the staircase leading to the second floor is steep and stairs are short so you need to be careful when bringing up luggage. Also it’s more of a drive vs walking distance from the center of town (only about an 8 minute drive). Host did try to help us secure a cab. Personnel tres gracieux, villa tres spacieuse. Lits tres confortables ! Staff was very smiling & lovely. Villa very spacious. Very comfy beds. Showcasing a seasonal outdoor pool and views of the garden, Chambres d’hôtes Le Clos des Tilleuls is located in Demigny in the region of Bourgogne, just 29 miles from Dijon. Free WiFi is featured throughout the property and free private parking is available on site.Some units have a sitting area to relax in after a busy day. Every room has a private bathroom. 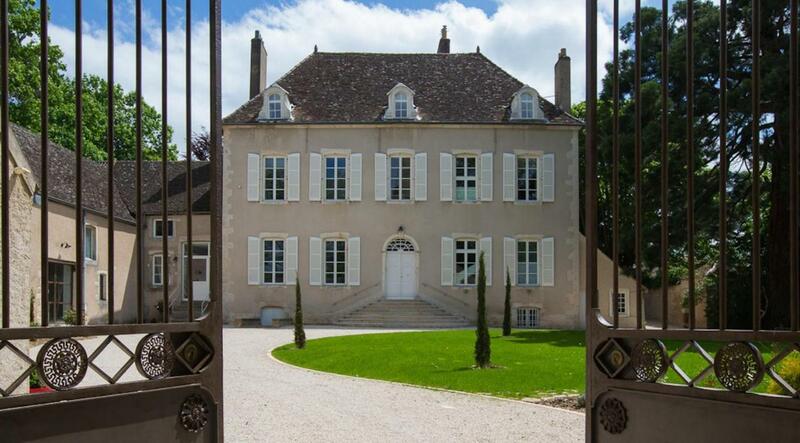 For your comfort, you will find bathrobes and slippers.You will find a shared lounge at the property.Beaune is 6 miles from Le Clos des Tilleuls, and Chalon-sur-Saône is 10 miles away. 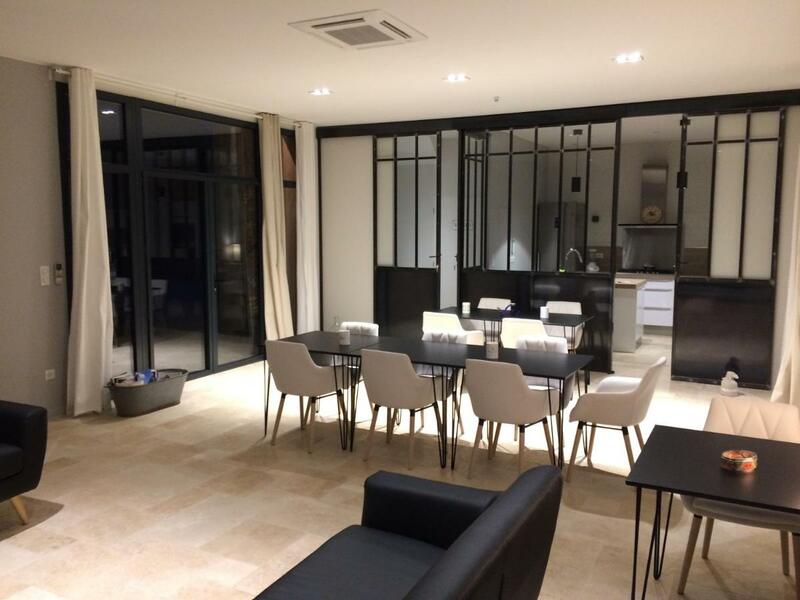 The nearest airport is Tavaux Airport, 29 miles from the property. Beautiful building that has been lovingly refurbished (if slightly quirky modern furniture in places) and the pool was very welcome after a long drive. Friendly welcome from the hosts. Very large rooms, comfortable beds and well appointed bathrooms. Excellent breakfast with home made produce. Very quiet village. Lovely hosts, genuinely kind and helpful. The breakfast was excellent with extra special details like home made yoghourts and jam, fresh figs from the garden, and a wide range of teas and infusions. The host couple also spoke excellent English and were both on the doorstep to greet us on our arrival. Comfortable beds in spotlessly clean, light, airy rooms. Beautiful classic building fully renovated with spacious and modern rooms. The owners, Sophie and Laurent, are absolutely wonderful and do everything to make your stay a very pleasant one. A place to come back! The above is a top selection of the best guest houses to stay in Pontoux Burgundy to help you with your search. We know it’s not that easy to find the best guest house because there are just so many places to stay in Pontoux Burgundy but we hope that the above-mentioned tips have helped you make a good decision. We also hope that you enjoyed our top ten list of the best guest houses in Pontoux Burgundy. And we wish you all the best with your future stay!